The Callaway golf bag has plenty of pockets to hold everything you need for the game! You can keep your beverages and foodstuff, for example, apples, in its insulated cooler pockets. It is a bit difficult to retrieve a driver and a three wood while using a golf cart. All your clubs will be securely fixed inside this Callaway golf bag. 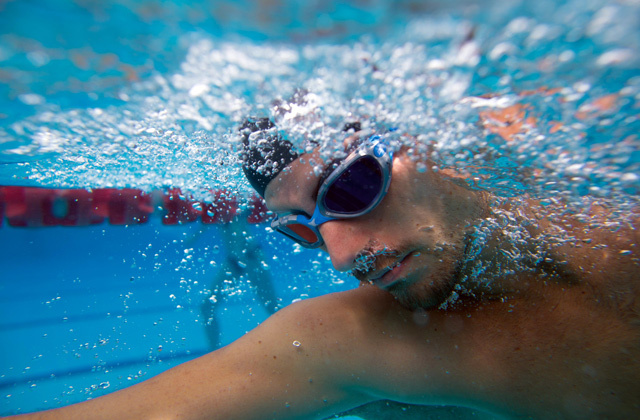 The full-length dividers will keep each your club in its place. You can take all your set with you and it won't get mixed up! 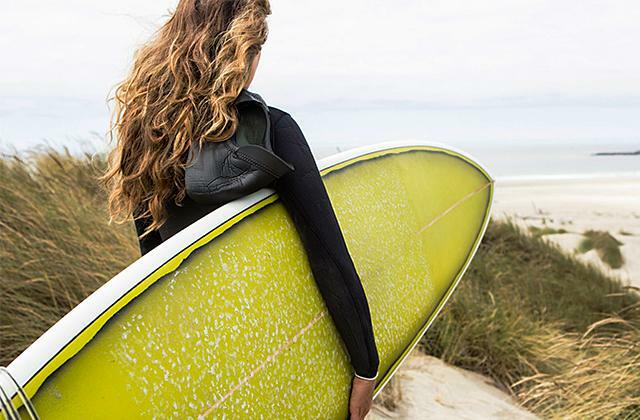 An adjustable 4-point backpack ensures a balanced weight distribution that reduces a load on your spine. Retractable legs fold out automatically when you lean the bag. There are not so many club sections. The Titleist golf bag is a wonderful choice for those who appreciate hitting the links with their friends at the nearest golf course at the weekend. This OGIO golf bag has a special Ball Silo™ holder that keeps three balls available so you can use them with no fuss during the game. An ergonomic self-closing zipperless pocket ensures quick access to the balls. It is a little heavier than other golf bags. This wonderful dual-purpose modification can be used as a comfortable stand bag. Or you can use it as a cart bag, owing to a cart strap channel. Two large double-zippered apparel pockets have more room compared to other models. This golf bag has a removable ball pocket so you can have your golf club logo embroidered. The 10-way modification has no beverage pocket. The TaylorMade golf bag features a crush-resistant design ensuring reliable protection of your valuable golf clubs during transportation. Three comfortable full-length dividers ensure reliable storage of your golf clubs. 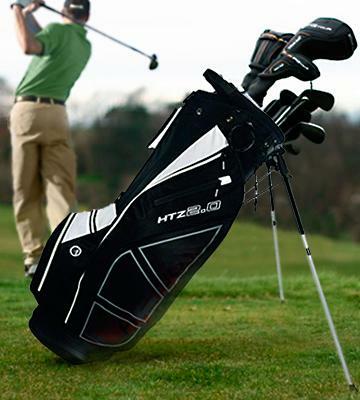 The Hot-Z golf bag is made of a durable lightweight dobby nylon. 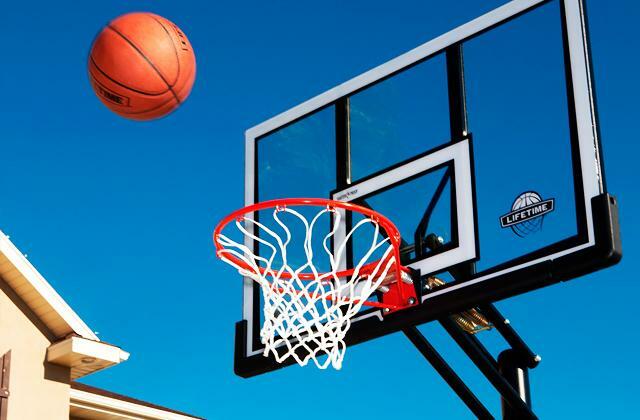 There is no special ball pocket. A wonderful choice for those who are on trend! At the same time, the Hot-Z golf bag has a user-friendly design. Choose the item to your liking among the variety of stylish colors! The Callaway cart bag was designed for using on carts or golf buggies. An inventive E-Trolley Base and ergonomic strap system allow fast and safe fixing of this golf bag in a luggage area of any up-to-date golf cart. A shoulder strap will help you carry the item. Two integrated molded grab handles on top and a strap handle at the bottom add to the ease of use. The manufacturer provides a broad selection of color schemes. You will definitely find the one to your liking! It is a spacious golf bag with a 14-way full-length divider! Such design allows you to keep each club of your set separately during the transportation. Its top size of 10.5" will let you pick the club you need in seconds! The Callaway golf bag has 12 separate compartments for all the accessories and other necessary stuff. It has 2 insulated pockets to keep your drinks cool throughout the game; 2 full-length apparel compartments; 4 accessory pockets. In addition, there is a GPS/Rangefinder compartment, a valuables pocket (velour lined), and a ball pocket. A wonderful bag to take your club set and all accessories with you to the golf course! Several extras make this innovative golf bag even more convenient. There are three quick access tee holders on both sides of the item. You can put your umbrella into a special sleeve on the side of the bag. A waterproof rain hood that comes with this golf bag will protect your clubs from getting wet. There is an ergonomic towel ring on the side. In addition, this super comfortable model weighs merely 5.6 lbs therefore it is easy to carry along the golf course. 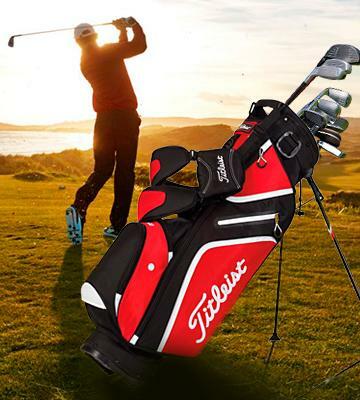 Owing to a thoughtful design, the Titleist golf bag is easy to install and it stays stable on any golf course. The legs keep this golf bag at a comfortable angle so you can grab your clubs easily. The item has a dry grip bottom ensuring the bag’s stability. At the same time, this stand bag is easy to fix on a motorized golf cart. The item is available in 7 different colors, you can pick your favorite one! An awesome choice for those who appreciate a quick round of golf on a weekend. It has a 3-way full-length divider that houses several clubs and allows for a quick access to the necessary one. 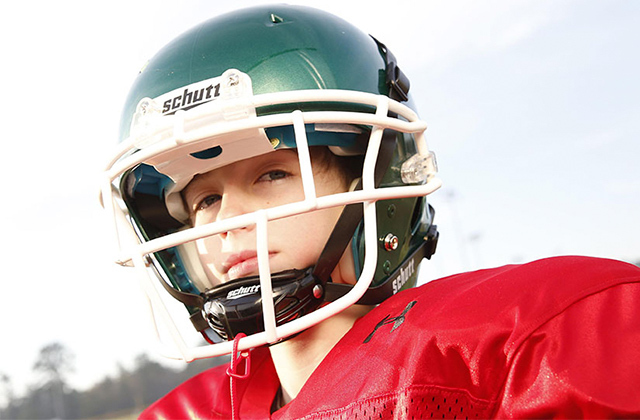 The bag has many pockets to keep all the stuff you need during the game. Namely, a ball pocket, an insulated beverage compartment, a large apparent compartment, and several accessory pockets. In addition, it has a velour-lined valuables pocket. This golf bag has a 4-point strap construction that releases tension on your spine thanks to an even weight distribution. A foam padded hip pad also adds to the comfort of using this 4.9 lbs golf bag. 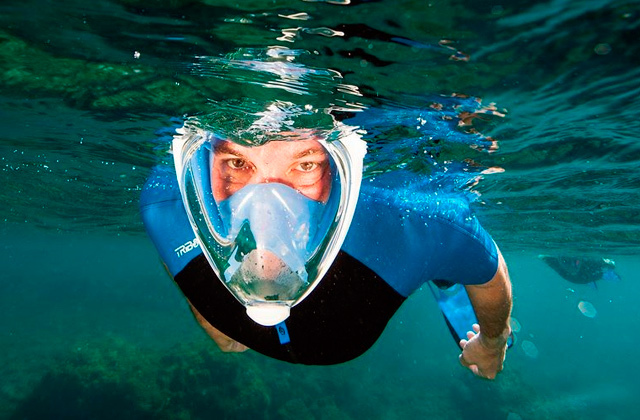 The model is equipped with a rain hood to protect your clubs from the moisture. It has an ergonomic towel ring. You will write down the score with no fuss owing to a pen holder in front of the bag. The retractable legs fold out automatically when you put the golf bag on the ground and lean it forward a little. The legs will automatically fold when you raise the bag. You will appreciate this comfortable bag at the golf course! The OGIO Grom has a thoughtful design that allows using this Stand Bag on a cart. The TORQ strap and a cart strap channel work for a reliable fixing of the bag on a golf buggy. While used as a Stand Bag, the item remains sturdy on any surface owing to a couple of leg stands with rubber feet. 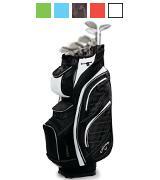 This golf bag has two ergonomic grips on its top, a webbing handle at the bottom, and a comfortable shoulder strap. You can choose one of the three available colors: Ash/Black, Buzz Saw Red, and Deep Sea. You can keep a whole set of clubs in this spacious golf bag! It has a full-length 14-way divider for reliable protection of your clubs during the transportation and 6 roomy accessory pockets. 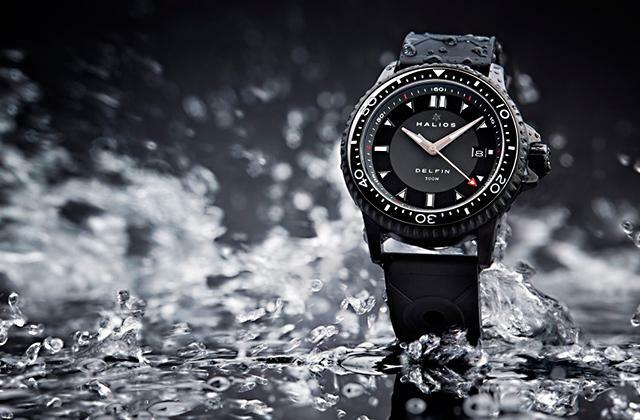 Its fleece-lined valuables pocket is weather-resistant. A large apparel compartment has plenty of space for all the things you want to put there. You can put your GPS/Rangefinder in a special pocket at the bag's top. A self-locking zipperless ball pouch grants quick access to its contents. There are also several accessory compartments and a beverage/water pocket. This golf bag modification has a unique OGIO Ball Silo™ outer holder that gives a quick access to three balls. There are also tee holders and a pen sleeve so these items will be available whenever you need them! 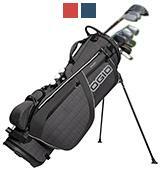 In addition, the OGIO golf bag is equipped with the SHOXX ™ X4 four-point shoulder strap. 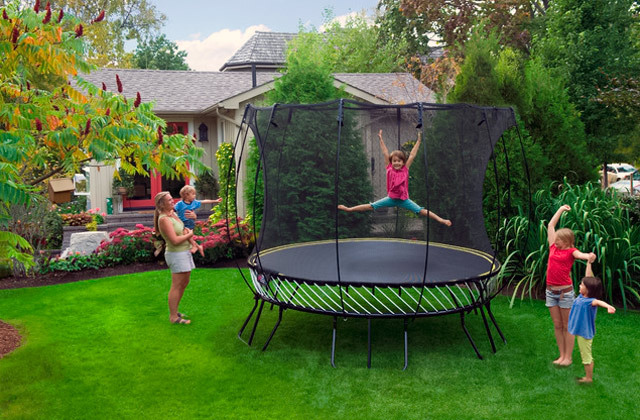 It balances the item’s weight and releases tension on your back so you will feel comfortable throughout your favorite game! 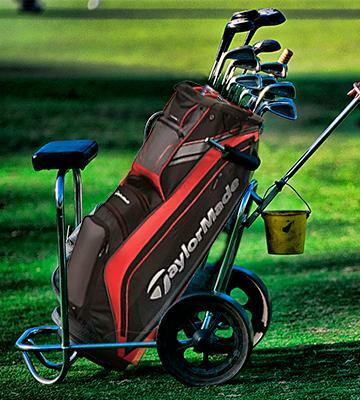 The TaylorMade cart golf bag will fit perfectly into your buggy. 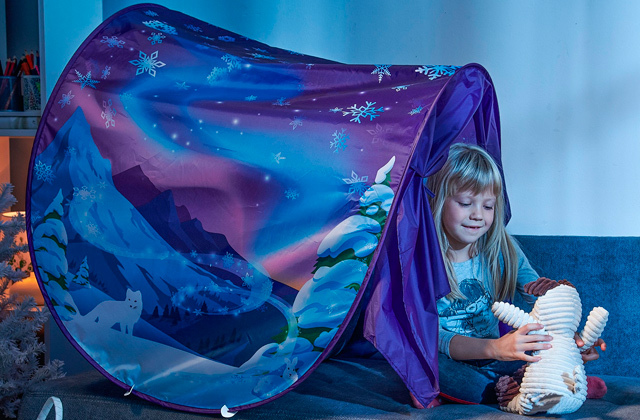 The item is easy to install owing to its specially designed bottom’s shape. In addition, you can fix the bag securely in the luggage compartment thanks to a pass-through cart strap. It will secure your clubs and other accessories during the transportation. The item has an ergonomic shoulder strap. This golf bag is available in 4 different color schemes. There are two modifications of this cart golf bag. You can choose either a 10-way divider bag (2 full-length slots) or a 14-way divider one (3 full-length slots). The latter can hold a whole club set! A 10-way divider model is equipped with 7 compartments. Both models have 2 big apparel pockets, a velour-lined valuables compartment, an accessory pocket, a rangefinder slot, ball and tee pockets. A 14-way divider modification has an additional beverage pocket. This roomy golf cart bag has space for all necessary game stuff! Most of the golf club members will appreciate a removable ball pocket on which you can have your club’s logo embroidered. You can hang your towel on a special ergonomic loop. This golf bag comes with a special rain hood and umbrella cord so you and your equipment won’t get wet if the weather turns bad. 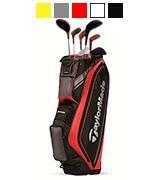 The TaylorMade golf bag is rather lightweight (only 4.6 lbs) which means you can use it even without a cart. The Hot-Z golf bag model has ergonomic easy-release stand legs with rubber feet to ensure the item's stability. All your clubs will be available the moment you install the bag on the golf course. You can fetch the one you need just like that! This wonderful golf bag model is both lightweight and portable. But do not worry, at the same time it is roomy enough to hold all the necessary clubs and accessories. This golf bag has a convenient 6-way divider on top. The manufacturer has provided three ergonomic full-length dividers. They were designed to prevent any damage to the contents and allow an easy and quick access to the necessary club. The Hot-Z golf bag has five zippered pockets for all the stuff you might need on the golf course. Among them, there is a comfortable velour-lined valuables pocket. Our happy customers report that it is an awesome golf bag for the money! Made of dobby nylon, this golf bag is lightweight, durable, and easy to clean. An included rain hood cover will help you protect your clubs if it rains. 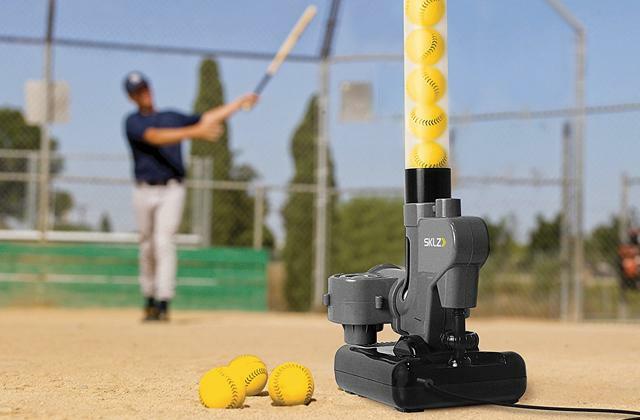 The Hot-Z golf bag has a towel ring and a Velcro glove attachment for the most comfortable use during the game. An ergonomic rubber handgrip and a webbing front handle ensure convenient transportation. 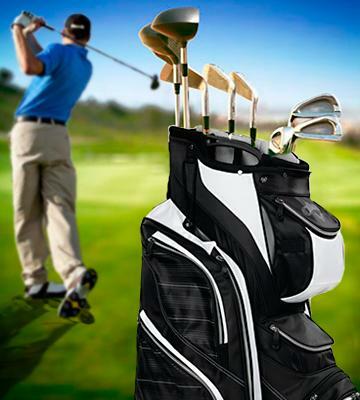 What is more, it is easy to carry this marvelous golf bag along the golf course owing to a padded dual carry strap. While playing golf, it is essential to have a club that fits the shot at hand. Golf bags were designed for comfortable carrying and using all the accessories that you need when you hit the links. Up-to-date golf bag modifications will keep the contents safe and secure and allow for a quick access to the necessary club. They have plenty of pockets to hold all the stuff you need for the game. Therefore, a golf bag is a must-have for any golf player. We have selected five best golf bag models and we would like to offer several tips for you to choose the one you will take to the golf course. We also recommend you to look through our golf putters and golf balls and choose accessories for your favorite game! While choosing a golf bag you should decide on how you are going to use it and which club set you are going to keep in it. There are several kinds of bags varying in size and design. These days there are Staff Bags, Cart Bags, Stand Bags, Carry Bags, Travel Bags and Covers. Professional golf players usually choose Staff Bags for their spaciousness. They can hold the whole club set and plenty of additional accessories and their housing has ample space for a sponsor’s logo. Cart Bags are more lightweight compared to Staff Bags. They are designed for using on a golf buggy. Besides, they can house up to 14 clubs, the whole set! However, these bags can be rather heavy to carry. That is why it is better to get a Stand Bag if you are not going to use a cart. Their size and weight allow for a transportation during the game. Retractable legs will support the golf bag while you choose the club to make a shot. If you use few clubs only, it is better to pick a Carry Bag. This lightweight modification is easy to take anywhere at any time you need, its divider can hold 2-5 clubs. A Travel Bag is a must-have for those who take their club set on a journey. 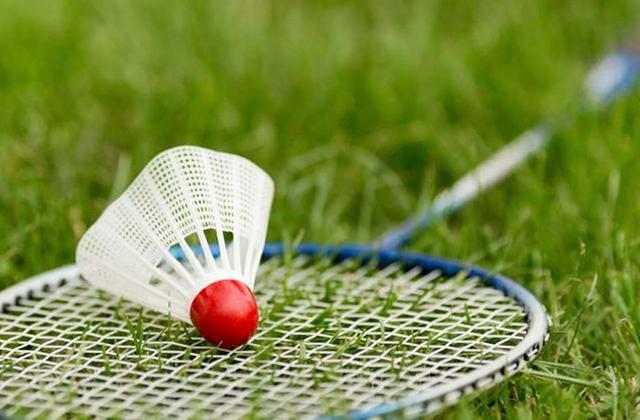 It was designed to secure your sports equipment and keep it in order during transportation. You should also pay attention to installing and fixing options of a golf bag. For example, a dry grip bottom or strengthened stand mechanism will add to the ease of use and durability of your golf bag. Now, when you have chosen a golf bag type, it is time to decide on its compartments. If you are going to use a whole club set, it is better to choose a modification with a 14-way divider. In case you use fewer golf clubs, it is worth getting a 5- or 7-divider modification. It is more lightweight and portable compared to a complete club set golf bag. An item with a full-length divider helps keep all the clubs separated. 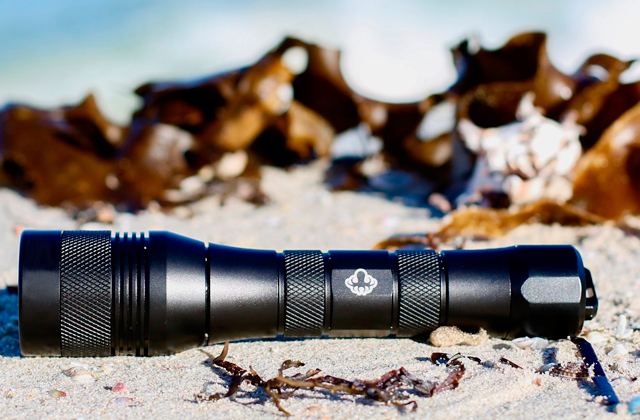 You will grip the one you need with no fuss! One more important thing is the number of accessory pockets. It is nice to have all the necessary stuff at hand at the golf course, so a bag with many pockets will do a good job. 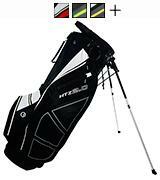 You should also keep in mind the additional conveniences provided by your chosen golf bag manufacturer. They will make your favorite game even more enjoyable! 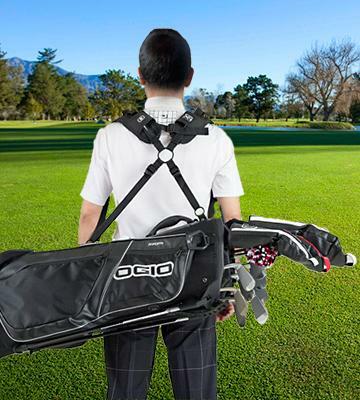 A special strap system will lower the load on your spine while you carry your golf bag. Additional tee, pen/pencil holders will keep the necessary items available. 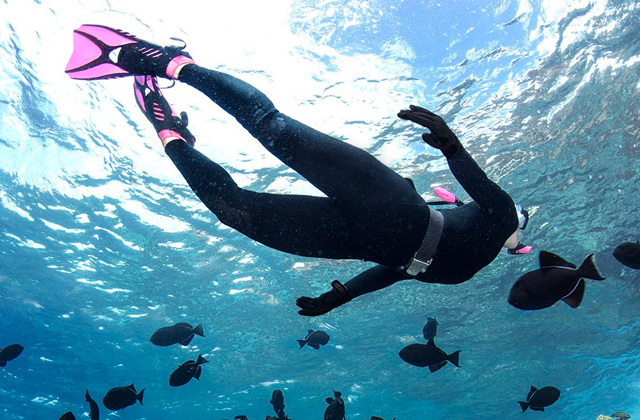 A special patch (Velcro) will keep your gloves within reach. Most golf bags have an ergonomic towel ring, which you will appreciate on hot summer days. A waterproof rain hood will protect your clubs in case of wet weather. These are the most common conveniences. 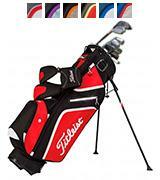 However, the golf bags manufacturers enhance their products all the time. They add more and more extra features that you may find very useful.